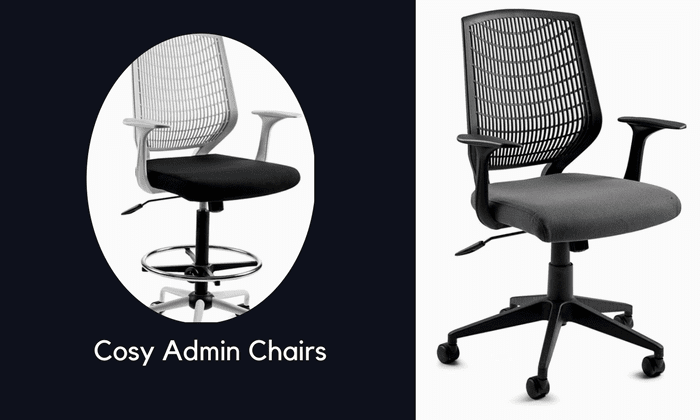 Tailor made for the admin,receptionist,boardroom and office visitors in a work-space.Designed to boost productivity and efficiency in the workplace, task chairs are a practical piece of furniture for any work environment. Our extensive range of high-quality, modern task chairs incorporate a number of innovative features, such as adjustable height and arms, removable arms, mesh backs, headrests and seat slide mechanisms, to name but a few. Ergonomically designed, these vibrant seating chairs provide impressive support for the back and legs, offering the user superior levels of comfort.Our task chair collection comes in a wide range of colours, from vibrant greens, reds and oranges to more subdued blues, blacks and greys. All of our operator chairs also have a five year warranty for added peace of mind. Tyler Typist back rake mechanism, features infinitate-lock via clutch lever, heigh ajustable backrest. Gad-height adjustor on Arched black base (Glass-fibre reinforced Nylon) & 60mm Dia. Twin wheel castors for carpeted floors. Complete with Traditional Height adjustable armrest. COM - Please provide 0.8m per chair.